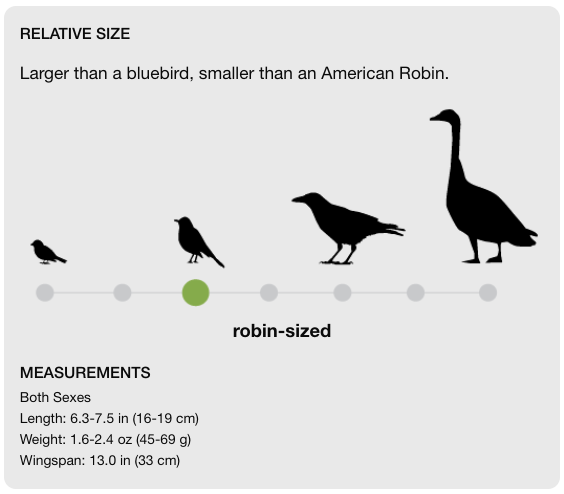 These full-bellied birdies feature a thick neck and a bushy crest atop their heads. They are mostly grayish brown, with touches of peach surrounding their black face mask. Their wings have 2 visible white rectangular patches with red waxlike tips and their rusty under-tails are tipped in yellow.They are very social birds that congregate in to large, noisy flocks. 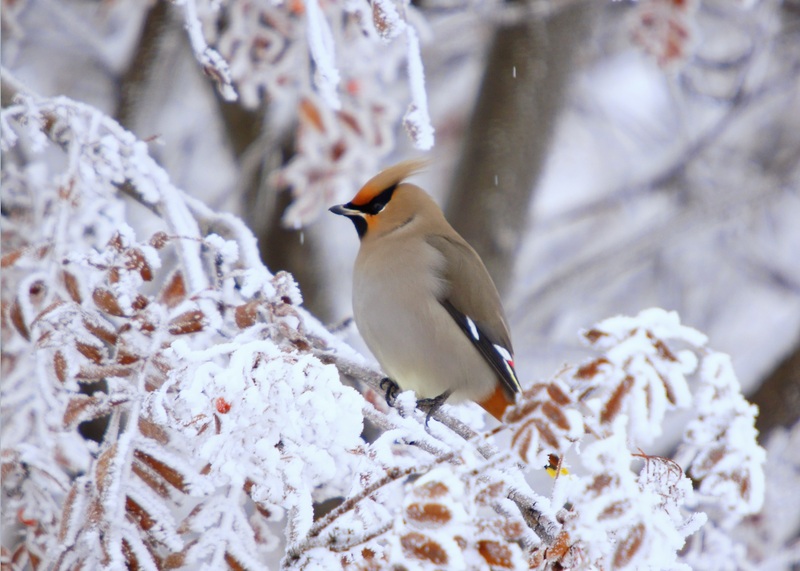 Waxwings breed in open forested areas, and live in open areas with access to plenty of fruit. To see how dense the Bohemian Waxwing population is, follow this link! Watch the footage below and see for yourself why Okanogan Country is a winter wonderland for birdwatchers, or anyone with a taste for adventure. CAN YOU SPOT THE WAXWING?